Following our review of John McLaughlin and the 4th Dimension’s To The One, we had the chance to ask bassist Etienne Mbappé a few questions about the album, working with Joe Zawinul, and about all the great bass that comes out of his native Cameroon. How did the “To The One” project come together? I met John McLaughlin in 2002 at the Nice Jazz Festival in France. I was playing with Joe Zawinul at that time. John asked for my phone number and called me few years later to join his band, The 4th Dimension. What was supposed to be a tour turned into recording of the album To The One. 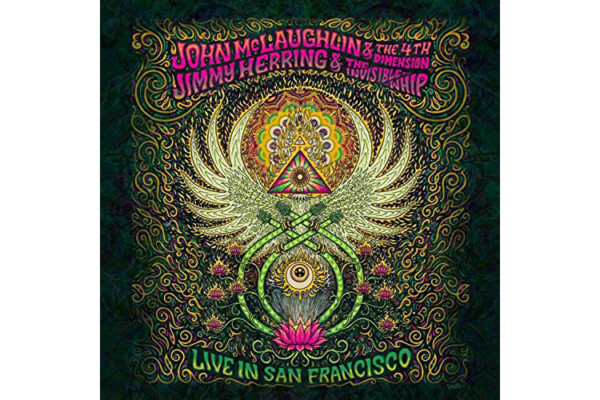 What was the atmosphere like during the recording session with John McLaughlin? The atmosphere was pretty cool, pretty relaxed, though pretty serious with a lot of concentration while recording. With the two drummers, Gary Husband and Mark Mondesir, it was very special and quite unusual… a great and wonderful experience. We noticed you played quite a bit of fretless on the album (it sounds great, by the way). What made you decide to play fretless on this release? I love to play the fretless bass, though I don’t use it that often. John asked me to bring it in the studio, and both of us just decided where that could be nice to have that sound…. Lots of readers want to know… why do you wear the gloves when you play? I wear black silk gloves because they keep my strings bright, and I really like the bigger and smother sound they provide. And the second most popular glove question: how can you play and slap and still get that brilliant tone? Talk about your musical upbringing in Cameroon. Who inspired you and what did you study? I never had a bass lesson, I am a self taught. In Cameroon, we have no music schools nor conservatories. If you want to play, just find an elder brother around who can show you some stuff, and for the rest, open your eyes, your ears and your mind. When I arrived in France in 1978 at age of 14, I studied a little bit of classical guitar and upright bass for few years. What is it about Cameroon that so many great bassists have come from there? We all went to that “No walls” school, just learning by listening, watching and trying to copy what the elder brothers were doing. African Oral Transmission is a very instinctive way to think and to play. This school without walls still exists, and the kids are learning from us now. And they are killing, believe me. Joe Zawinul had an excellent reputation for choosing great bassists, and you were part of that elite group. What is your favorite story from your time performing with him? Since Cameroon is an ex-German Colony, Joe Zawinul used to say there are so many great bass player from there because of Johann Sebastian Bach who taught us the “Continuo Bass”. I used to answer that he maybe was right, but Cameroonian bass players add some Bikutsi-Makossa-Asiko-Mangambeu, wild deep forest rythms on the Continuo classical bass lines, so much that Bach himself wouldn’t recognize it today. We used to laugh a lot about that. I had a great time playing with Zawinul and sharing great moments with him. I own many basses , my favorites are from a French Luthier called Noguera (Christian Noguera). I also like the FBasses from George Fiurlaneto in Canada, and there’s another young French guy called Paul Lairat… very nice basses too. I play on DR Strings and I use E.B.S. amps and the Black Label pedal board from Sweden. The black silk gloves are from Pipolaki. I will be on tour this summer with the Robben Ford/Bill Evans project – very exciting – I am a big fan of Robben’s guitar playing. I will also do some gigs with my band in Russia in August and a Scandinavian tour in October. I am also working on my next (third) album that I hope will be out in the beginning of 2011. 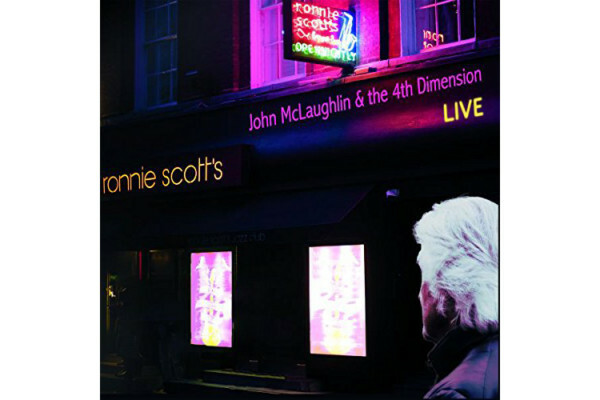 In November and December I will be touring USA and Canada with John McLaughlin and 4th Dimension. For more on Etienne, visit his website. Thanks to our Facebook friends and contributors who submitted questions for Etienne: Einar Kári Hilmarsson, David Marion, Israel Cedeno, Jonas Holmedal and Phil Wain.